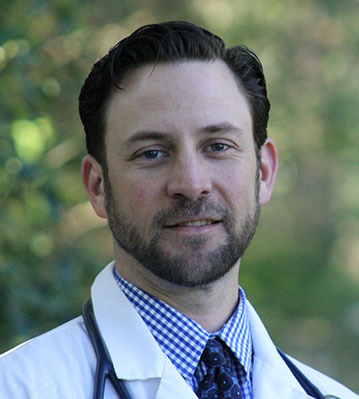 Dr. Chris Brader has practiced medicine at Matthews Animal Clinic since 2004. He purchased the clinic in 2017 with Drs. Pritchett and Thompson. A native of Lancaster, Pennsylvania, Dr. Brader attended Virginia Tech, where he received his Bachelor's Degree in Biology in 1999. He continued his education at the Virginia-Maryland Regional College of Veterinary Medicine and was awarded his Doctorate of Veterinary Medicine in 2004. He has a continuing education certification in ultrasound, and his professional interests include soft-tissue surgery, seizures and gastroenterology. Dr. Brader is a member of the Sigma Phi Epsilon fraternity and the Phi Beta Kappa honor society. His hobbies include exercising, snowboarding, and following Virginia Tech sports. He also enjoys spending time with his wife, Lindsey, and their sons Evan, Carter, and Declan, and their 2 dogs Mingus and Luke. 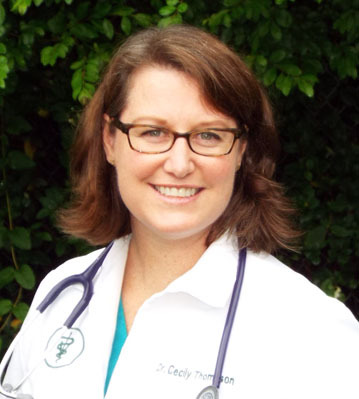 Dr. Cecily Thompson grew up in Albany, Georgia and practiced medicine in New Jersey before joining Matthews Animal Clinic as a general practitioner in 2006 and purchased the clinic with Drs Brader and Pritchett in 2017. A graduate of Washington and Lee University, Dr. Thompson received a Bachelor's Degree in Biology in 1999. She attended the University of Georgia College of Veterinary Medicine and was awarded her Doctorate of Veterinary Medicine in 2003. Dr. Thompson is a member of Alpha Psi, a veterinary fraternity; Phi Zeta, the veterinary honor society; and the American Veterinary Medical Association. Her professional interests include soft tissue surgery and endocrinology. When she's not at the hospital, Dr. Thompson enjoys spending time snowboarding, gardening, reading, and going to rock concerts. Dr. Thompson and her husband Matthew, also a veterinarian, both enjoy traveling. Dr. Thompson loves caring for her daughter, Eloise, plus her four special needs pets. Dr. John Pritchett is a native of northeast Georgia. He received his Bachelor of Science in Biology in 2002 from the University of Georgia. 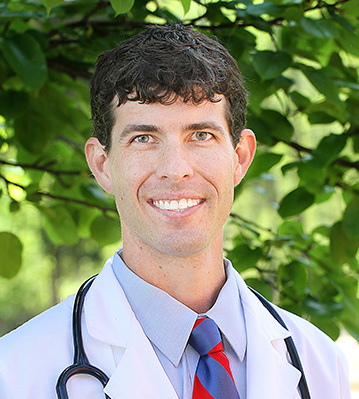 In 2007 Dr. Pritchett graduated from the UGA College of Veterinary Medicine. After vet school graduation, Dr. Pritchett completed an internship in small animal medicine and surgery in Brooklyn, N.Y. He then worked as an emergency veterinarian for 3 years prior to relocating to the Charlotte area. He then purchased the clinic with Drs. Brader and Thompson in 2017. His professional interests include emergency medicine and internal medicine. Dr Pritchett enjoys all outdoor activities, traveling, and spending time with his family including his wife, 2 sons, and daughter. Additional family members include 4 cats and numerous fish. Dr. Hunter Goldsmith is a native of Greenville, S.C. She received her bachelor's degree in Biology from Clemson University in 2014. 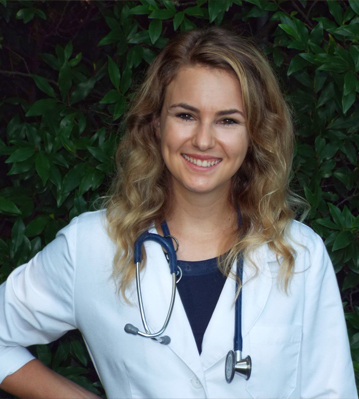 She graduated from University of Georgia College of Veterinary Medicine in 2018. Dr. Hunter Goldsmith is a member of Alpha Psi Veterinary Fraternity, North Carolina Veterinary Medical Association and American Veterinary Medical Association. Her professional interests include surgery, dermatology, nutrition and exotics. Dr. Goldsmith enjoys traveling and spending time outdoors. During the fall she enjoys cheering on the Clemson Tigers football team. She has two cats named Elsa and Nala. 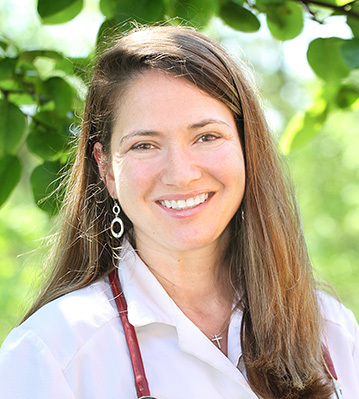 Dr. Mary Getz has practiced medicine as a general practitioner at Matthews Animal Clinic since she graduated veterinary school in 1998. A native of Chicopee, MA, Dr. Getz attended the University of Massachusetts and received her Bachelor's Degree in Biology in 1993. She went on to attend North Carolina State University College of Veterinary Medicine and was awarded her Doctorate of Veterinary Medicine in 1998. Her professional interests include internal medicine and surgery. Dr. Getz is a member of numerous professional organizations and honor societies, including Phi Beta Kappa; Phi Zeta, the veterinary honor society; the American Veterinary Medical Association and the North Carolina Academy of Small Animal Medicine. Dr. Getz and her husband D.J. enjoy traveling and outdoor activities. They have two sons: Ryan and Michael. Her hobbies include photography and reading science fiction novels. She has three pets: Tyson, a shepherd mix, and two cats, Stormy Bear and Grizzly Bear. 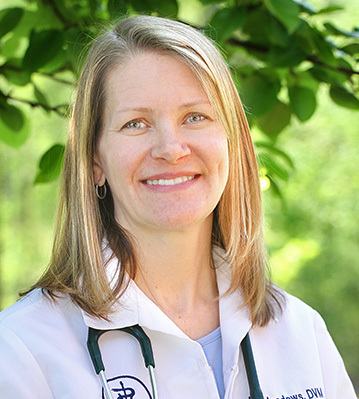 A native of Atlanta, Dr. Ann Meadows began practicing medicine at Matthews Animal Clinic in 2002. Dr. Meadows and her husband, Dr. Walker Meadows, owned the clinic from 2003-2016. Dr. Meadows attended the University of North Carolina at Chapel Hill, where she received a Bachelor's Degree in Biology and Psychology. She continued her education at the University of Georgia College of Veterinary Medicine and was awarded her Doctorate of Veterinary Medicine in 1997. Dr. Meadows' hobbies include tennis, mountain biking, yoga and cooking. At home she can be found spending time with her daughters Reagan, Elizabeth and Emily. Additional family members include their cats, Chicken and Biscuit. 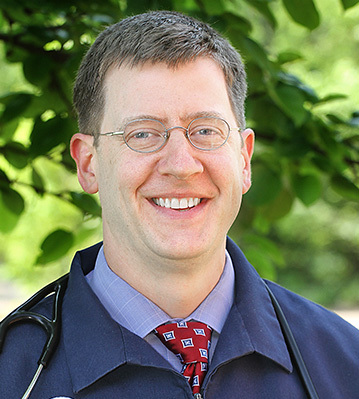 Dr. Walker Meadows began practicing medicine at Matthews Animal Clinic in 1997. Six years later he and his wife, Dr Ann Meadows, purchased and owned the hospital for 13 years. Originally from Charleston, South Carolina, Dr. Meadows attended Clemson University, where he received his Bachelor's Degree in Animal Science in 1993. He went on to attend the University of Georgia College of Veterinary Medicine, receiving his Doctorate of Veterinary Medicine in 1997. His professional interests include cardiology, orthopedic surgery and soft tissue surgery. Dr. Meadows is a member of numerous professional organizations, including the American Veterinary Medical Association, the North Carolina Veterinary Medical Association, the North Carolina Academy of Small Animal Medicine and the American Animal Hospital Association. In addition to his duties at the clinic, Dr. Meadows founded and plays guitar for The ShowGoats, a Charlotte-based pop band that performs throughout the area. The band's CDs can be found on iTunes. He also enjoys spending time with his daughters Elizabeth, Reagan and Emily. Dr. Meadows' family also includes two cats. 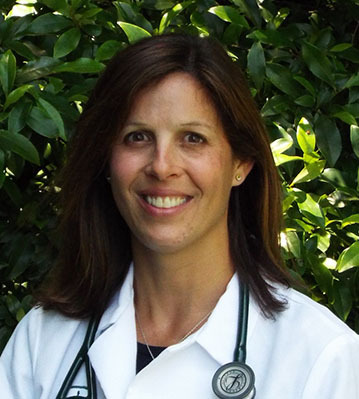 A native of Charlotte, Dr. Emy Shepard began practicing medicine at Matthews Animal Clinic in 2003. Dr. Shepard is a graduate of the University of North Carolina at Chapel Hill, where she earned a Bachelor's Degree in Biology in 1995. She went on to attend North Carolina State University College of Veterinary Medicine and was awarded her Doctorate of Veterinary Medicine in 1999. She is a member of the American Veterinary Medical Association. Dr Shepard loves outdoor activities, reading, and yoga. She is married to husband Kris, and has 3 children: Madeleine, Ava, and Andrew. Her family also includes 2 cats, Lilly and Dylan, and a 3-legged rescue dog named Elliott. 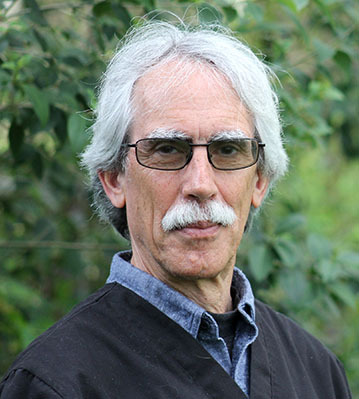 Dr. Glenn Baron graduated from Michigan State University vet school in 1977 and came to Matthews Animal Clinic as his first job. At that time, it was a semi-rural mixed practice that served Matthews, Mint Hill, Pineville and the farm areas of Wesley Chapel and Weddington. He purchased the clinic in 1993 and owned it for a decade. He left the practice in 2003 to become a fifth grade teacher in the Union County Public Schools. Retiring after 13 years, he now works part-time, back once again at his home practice in Matthews. Dr. Baron lives on a boarding horse farm in Waxhaw with his wife, Joan. He has two adult children and a darling grandson named Wylder. The daughter of missionaries, Dr. Janthi Webster was born in Malaysia and lived in Savannah, Georgia and Lindenhurst, New York before moving to North Carolina to practice medicine at Matthews Animal Clinic. 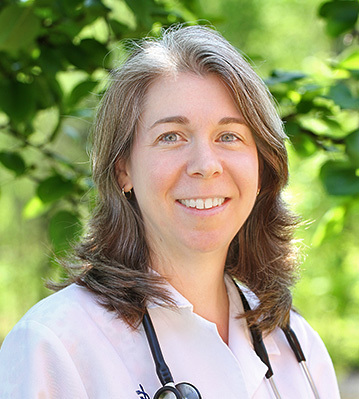 Dr. Webster previously practiced medicine at Jamestown Veterinary Hospital from 1993 to 1994. Dr. Webster attended Wake Forest University and received her Bachelor's Degree in Biology in 1989. She then attended North Carolina State University College of Veterinary Medicine and was awarded her Doctorate of Veterinary Medicine in 1993. Her professional interests include exotic animals such as rodents, rabbits and ferrets, public health and zoonotic diseases. Dr. Webster is a member of the American Veterinary Medical Association and the North Carolina Veterinary Medical Association. Dr. Webster and her husband, Jonathan, have three children: Miriam, Jonathan and Hannah. Her hobbies include reading, traveling and spending time with family and friends. She also has three pets: Daisy, a dog; Happy, a dog; and Fiddlesticks, a cat.